Our top specials of the month on red wines are listed below. Please note, as we are building out our services you will be redirected to our partner site wine.com for check out. If you would like to be notified of our specials on a monthly basis, please join our mailing list. 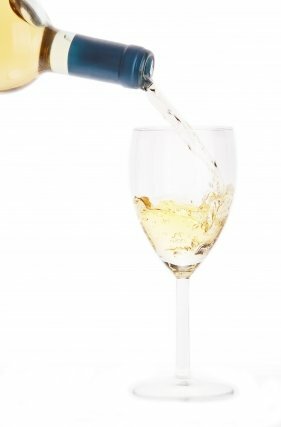 Castle Rock Chardonnay is made from grapes grown in some of the finest vineyards in California's Central Coast region. Here the warm sunshine and cooling ocean breezes provide an ideal climate for growing Chardonnay grapes, which remain on the vine a full month longer than in other regions, leading to a characteristic depth of flavor. This elegant Chardonnay offers a rich, ripe and fruity character with a delicious blending of vanilla, pear, citrus and melon flavors, subtle oak undertones and a long, balanced finish. In any season this Castle Rock Chardonnay will complement most cuisines and is an especially pleasing accompaniment to fish, poultry and lightly sauced entrees. Viognier is a tricky grape to grow. Its natural low acidity requires it to be picked at just the right moment. With this blend Cline chose grapes from vineyards that offered flavors indicative of the appellations from which they came. Solano County was chosen for its grapes are blessed with ample sun and provided maximum flavors. Cline's Mendocino vineyards, basked in warm days and cold nights contributed to the full-body weight of this wine and their Carneros vineyard was chosen because of its longer cool growing season. Cline Viognier shows big peach and apricot flavors mixed with citrus and floral notes. The wine is a powerhouse of flavor and is full-bodied so it will make and excellent match with flavorful foods like Mediterranean stew and spicy Mexican dishes. "We do not fine our wines with any animal products. We rely on fermentation management to control tannin levels instead of adding proteins to combine with excess tannins. Yeast, a microbe, is essential for fermentation and Malo-Lactic bacteria is used to create microbial stable wines but that's it." A semi-sweet medium bodied Germanic styled wine. Vibrant aromas of peach, pear, citrus and honeysuckle ﬂowers. The explosive mouth-filling flavors mirror the aromas with star fruit and steely apple malic acidity, giving a sweet-tart balance. Sweet, clean and refreshing with a crisp mouth-watering ﬁnish. 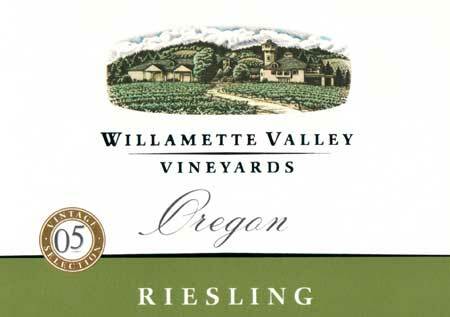 "Thanks for your interest in Willamette Valley Wines. So here is the list of wines without Fining agents added to them (no milk products etc) as below 06 Willamette Valley Vineyards Tualatin Estate Vineyard, 06 Willamette Valley Vineyards Signature Cuvee and the 06 Willamette Valley Vineyards Estate Vineyard 1)05 Willamette Valley Pinot Noir 2)05 Willamette Valley Pinot Noir=Estate Vineyard 3)06 Willamette Valley Riesling 4)02,03,04,05,06 all Griffin Creek Wines (my Southern Oregon Brand)including Syrah, Cab Sauv, Merlot,Cab Franc, Viognier. 5) 05 Tualatin Estate Pinot Noir 6) 06 Willamette Valley Vineyards Pinot Noir"
We aim to offer over 300 different bottles of vegan wine in a wide range of varietals. We are currently finalizing construction of our climate controlled state of the art wine storage facility. If you have a specific wine you'd like us to consider, please contact us at customerservice@veganwinestore.com.